During the month of April, Dr. Pierre Boumerhi from Pennsylvania, USA spearheaded a team of dentists who for one week, from Monday, April 18th through Friday, April 22nd, provided free dental services at the Dr. Otto Rodriguez San Pedro Polyclinic II. Besides providing their valuable service, the group also donated a large quantity of dental supplies and equipment to the Polyclinic. 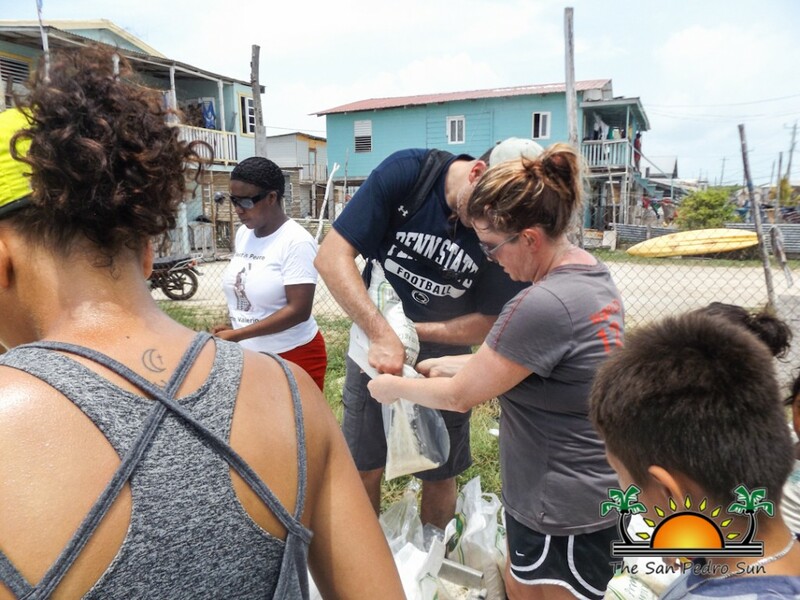 During his time as a volunteer, Dr. Boumerhi was captivated by the charm of La Isla Bonita and on Wednesday, May, 18th he returned to Ambergris Caye for a short vacation with his family, and taking advantage of their getaway, brought boxes full of donations for the island. The donations included clothing, footwear and even sporting supplies such as footballs for the island’s young football players. Welcoming them to the island was Laurie Norton from the Belize Red Cross San Pedro Branch. 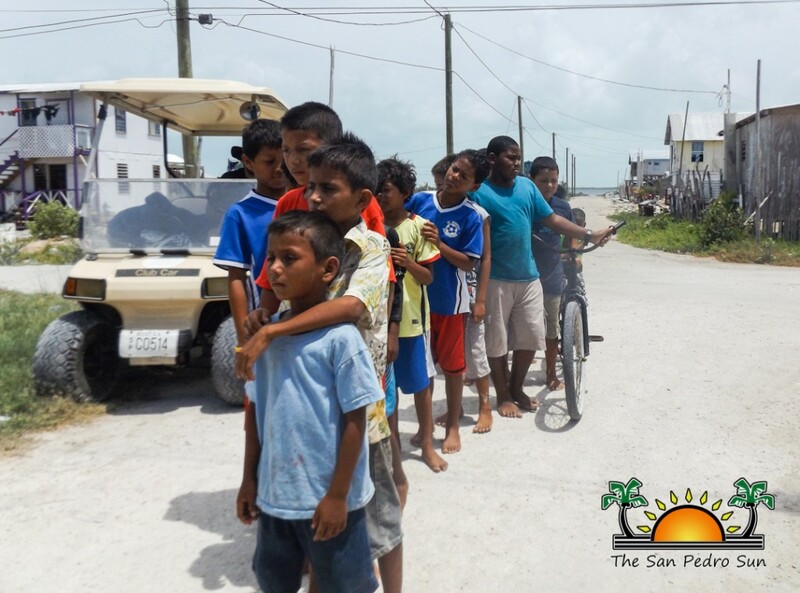 She assisted them with the initial donation process during their first days in San Pedro. 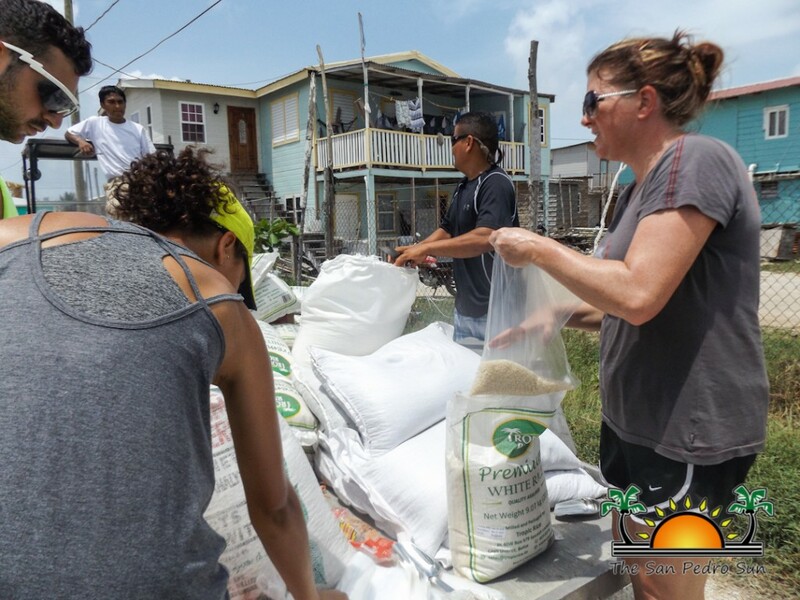 After getting familiar with the town, they took it upon themselves to distribute some of the items during the football games at the Louis Sylvester Sporting Complex, while the rest of the donations went to the San Pedro Food Bank. But, that was not enough for the Boumerhi family, and during their last day on the island, on Saturday, May 21st, they decided to assist the many underprivileged families in the San Mateo area. 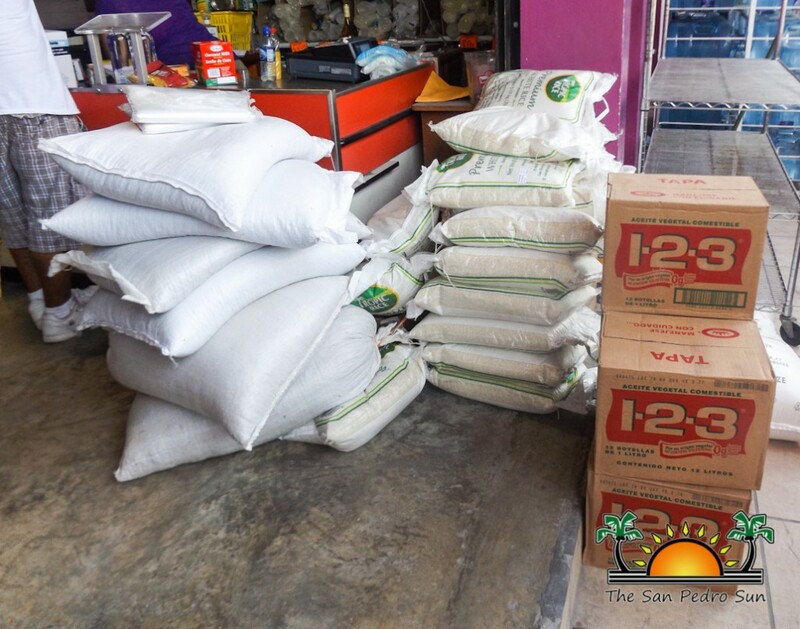 Loaded with sacks of beans, rice, sugar, and boxes of canned food and cooking oil they headed to the centre of San Mateo. 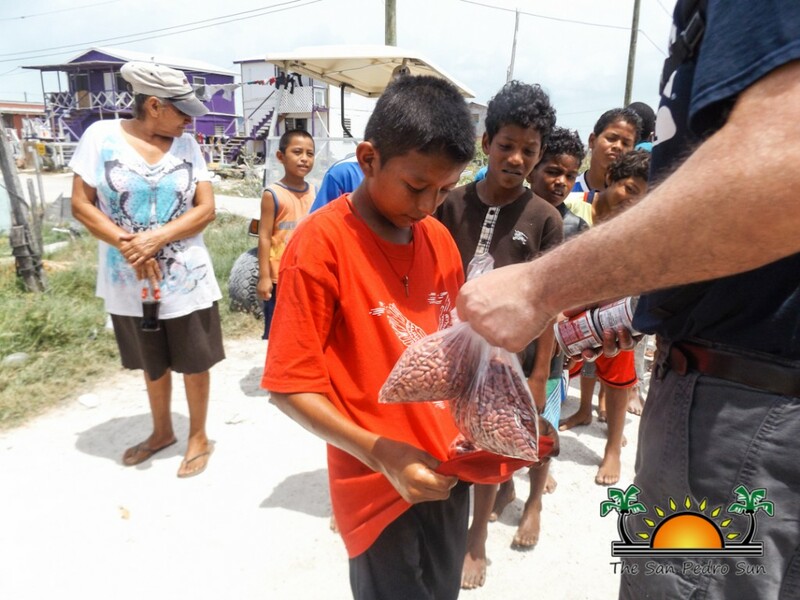 Under the scorching midday sun, they distributed food supplies to as many families as they could. Everyone was so happy and grateful to receive such assistance. Children and adults alike thanked the Boumerhi family for such a kind gesture. “We are very happy to help. We expect nothing back,” said Boumerhi. Dr. Boumerhi and his family left Belize on Sunday, May 22nd, but before leaving they announced that another team of dentists will be visiting the island in December of this year.